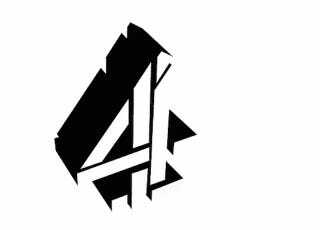 Britain's Channel 4 has ordered a pilot for a half-hour science fiction comedy that follows 200 hundred humans on a mission to find a new home after the destruction of Earth. So far, that's a pretty standard sci fi set up. And then there's the ship's pilot, which is described as an android bear. Suddenly, this became awesome. It's 6 months, 1 week, and 4 days since the earth was destroyed by an asteroid. 200 humans survive on board a huge 'Space Ark'. Their mission? To find a new planet where the human race can be re-established. The ship is populated by the finest minds the earth had to offer, plus an inept crew, an android-bear pilot and a member of the public who won his place by lottery. In the pilot episode the crew encounter a seemingly friendly alien race, whose space craft has broken down. What could possibly go wrong? Well, it's supposedly a comedy, so I'm guessing that hijinks ensue. Adorable hijinks, involving a fish out of water normal person on a ship full of geniuses. All I care about is finding out why someone decided that "bear" was the perfect design for a pilot. Please, please, let the bear be the only competent among the "inept" crew. The script comes from George Jeffrie and Bert Tyler-Moore (Pete Versus Life) and will star ill star Georgia King (The New Normal), Tom Stourton (Siblings), Justin Edwards (The Thick of It), Alex Beckett (Twenty Twelve), Ricky Grover (EastEnders), and Nico Tatarowicz (The Armstrong and Miller Show).